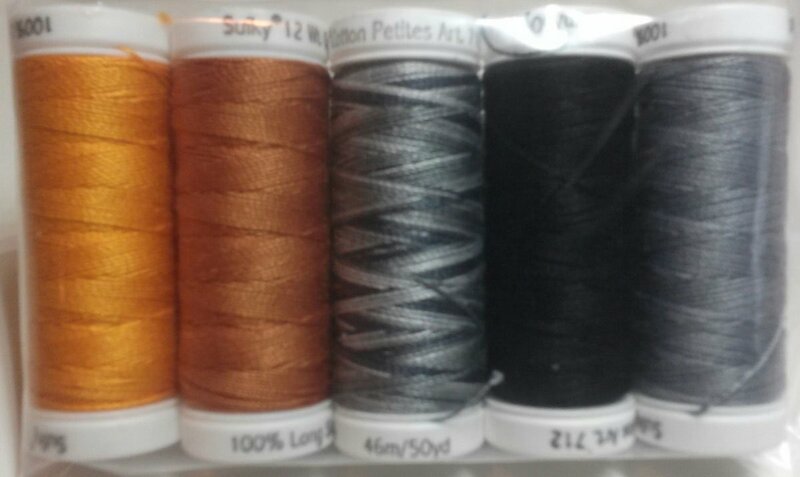 This 5 piece Petite 50 yard Spool thread set is used in my Baltimore Halloween quilt. Sulky's highest quality, long-staple, 100% Egyptian Cotton 12 wt. threads are ideal for quilting, thread lace, bobbin work, thread painting, red work and decorative embroidery.